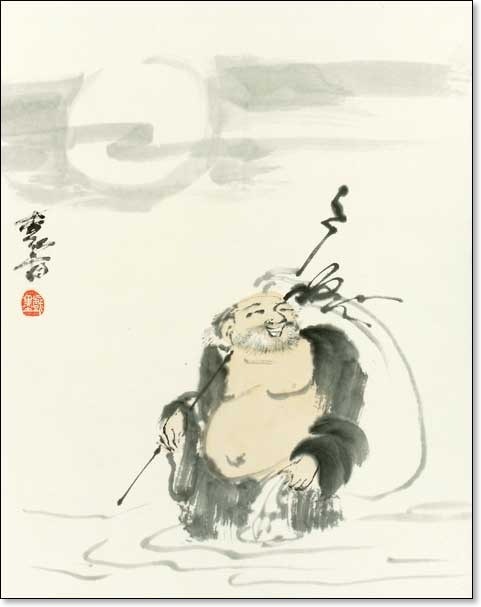 Hotei, the mythical Chinese saint, represents the freedom and joy of Zen attainment. The glaciers are long gone. Greenland is melting, the ocean is rising and Hong Kong, Bombay and New York have disappeared under the waves. Does this man look alarmed, frightened, or panicked? Does he recycle his shopping bags to save the world? Come on, folks—we passed that point fifty years ago. you are missing the joke.